Thanks to my favorite source for ideas around the city, we made our way to the American Indian Museum which has a really great kid space (ImagiNATIONS) that Henry has talked about weekly ever since. They built igloos, rode in kayaks, and played in traditional houses of indigenous people. 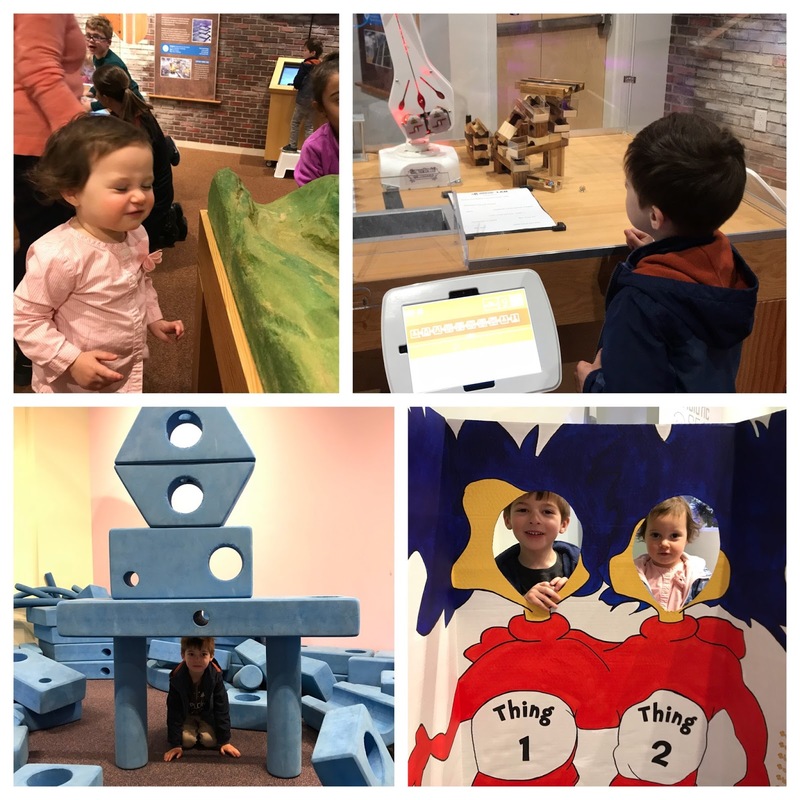 We also met friends at the Children's Science Center in Fairfax, VA, where Henry loved learning about coding for robots (much to Scott's delight), powering solar fans, creating tornados, and making slime. Both kids also got a spontaneous high five from the Easter Bunny while we had some snacks next to his burrow (hollow? lair?) which was surprisingly mellow. 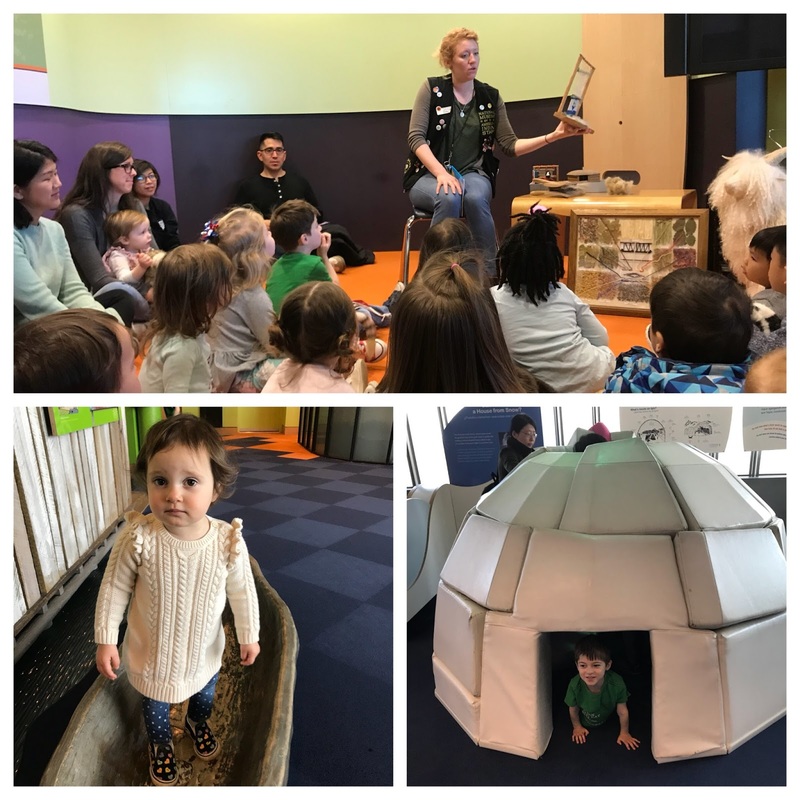 THERE IS MORE SNOW IN THE FORECAST THIS WEEKEND and we also had a pretty big storm at the end of March, so big that it delayed flights for family coming in to visit us and see the sights. WHERE ARE YOU SPRING?!?! 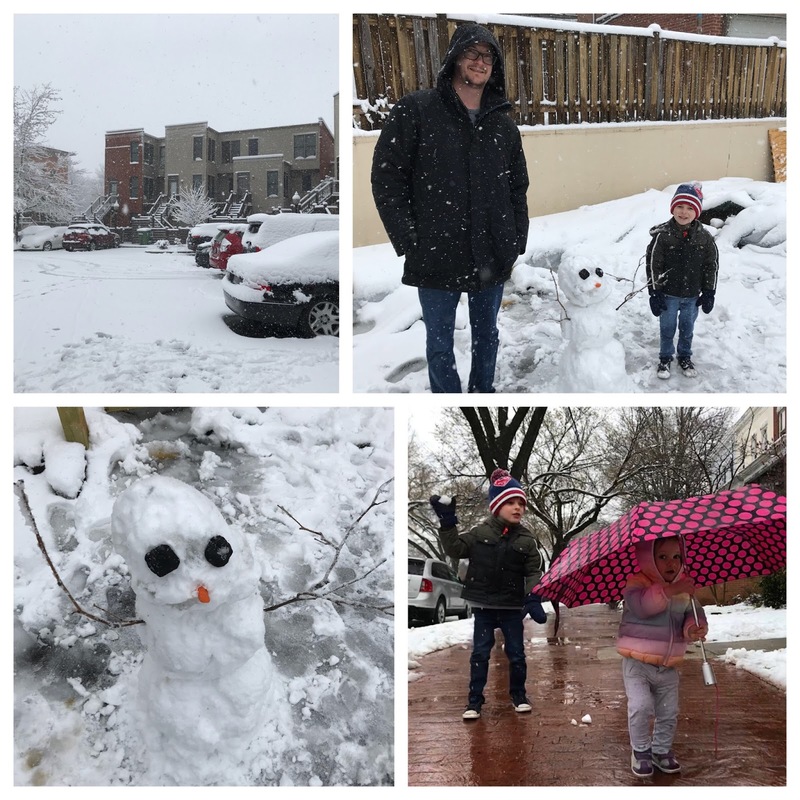 (That being said, we continue to geek out over snow despite the fact that I am done with the cold and mostly kids + jackets + hand warmers + gloves etc., etc.) Said kids? They LOVE it. 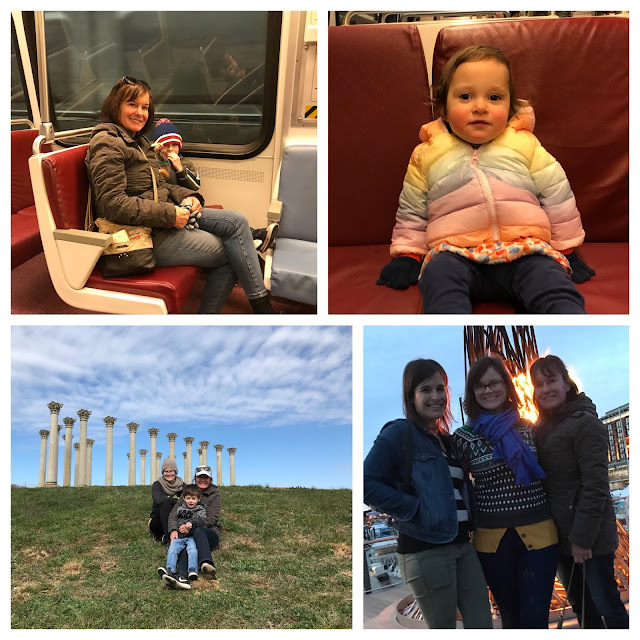 The snowstorm just created further excitement and anticipation for the arrival of a beloved grandma and aunt who was able to see the sights for the first time, participate in a march, and spend oodles of time bonding with the kiddos. 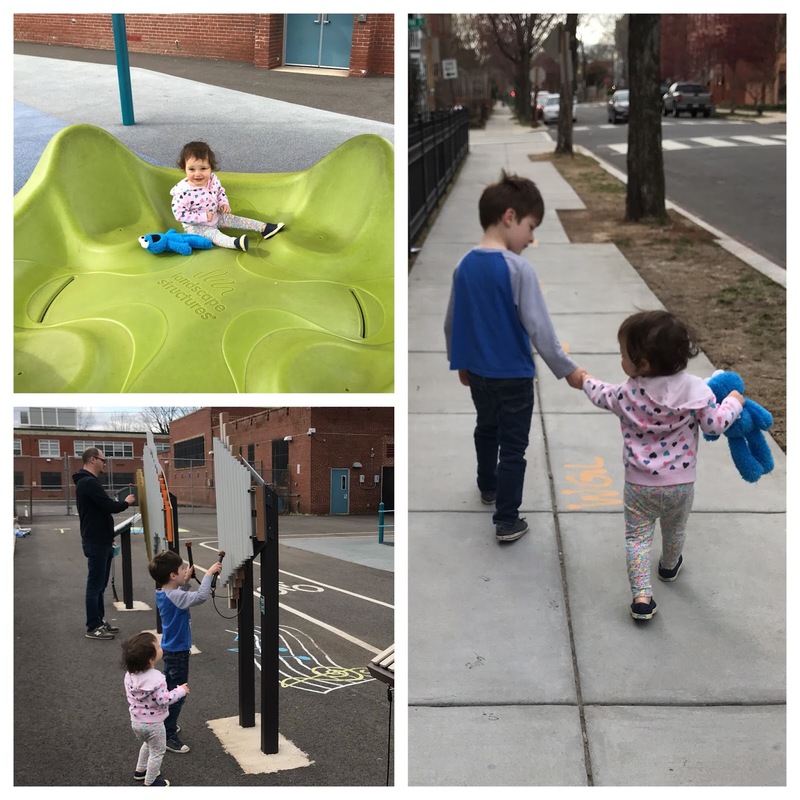 During spring break, I took the kids to the Beauvoir National Cathedral Elementary School which has the most epic playground I've ever read/seen/been to (and this is from a former Parks and Recreation Commissioner). 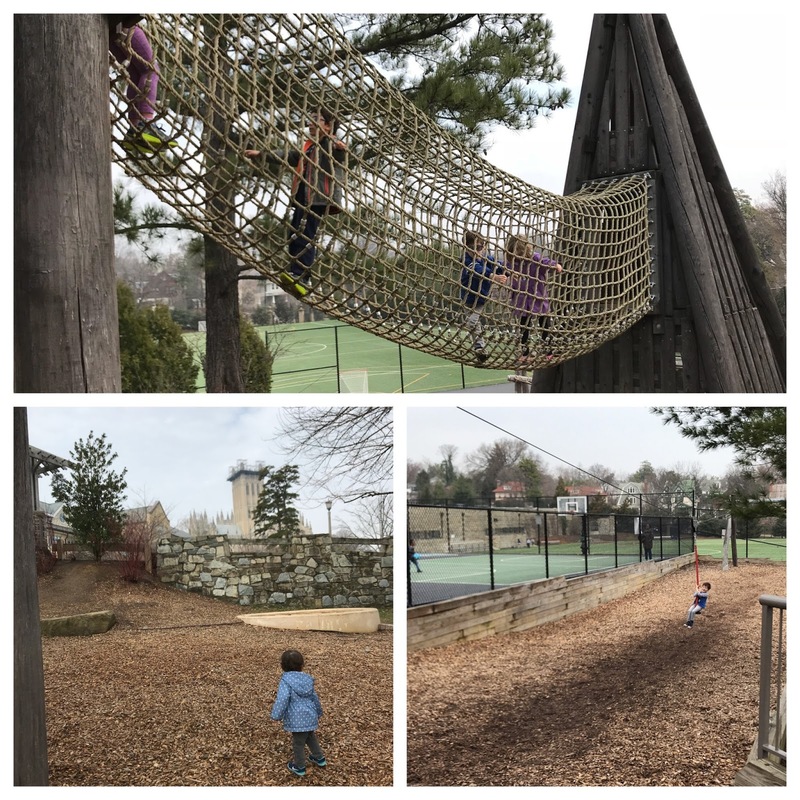 First, you can't beat the backdrop of the magnificently gothic National Cathedral, with a terraced playground of rope bridges, mazes, giant wooded and laddered climbing structures and a legit zip line. 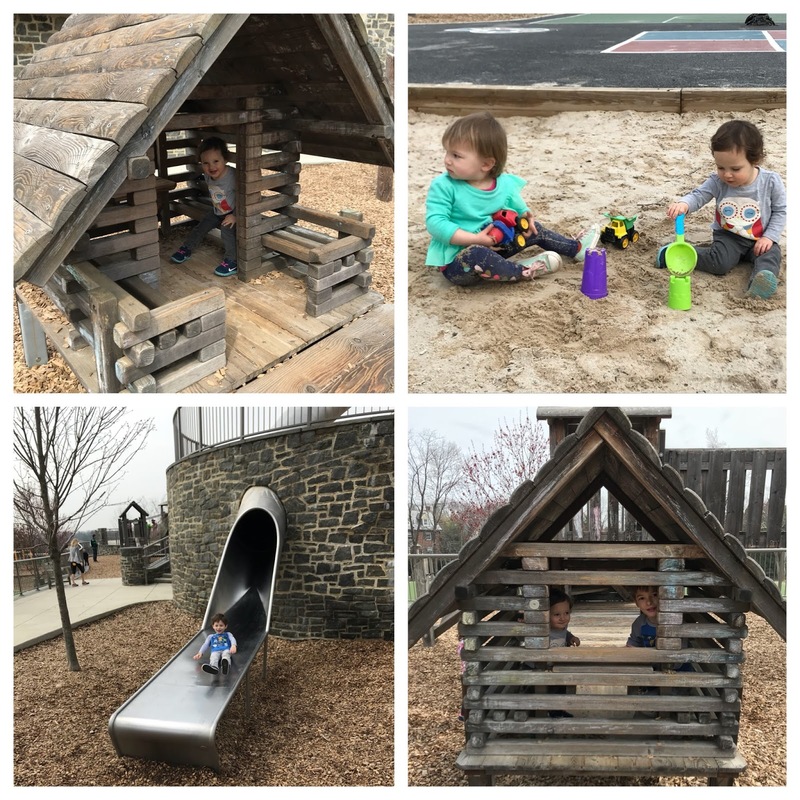 Did I mention the sand boxes, swings, soccer field, playhouses, and three story slide? #PrivateSchool. It's actually really well maintained and so nice of the facility to allow the plebeians to play after school hours and on holidays. 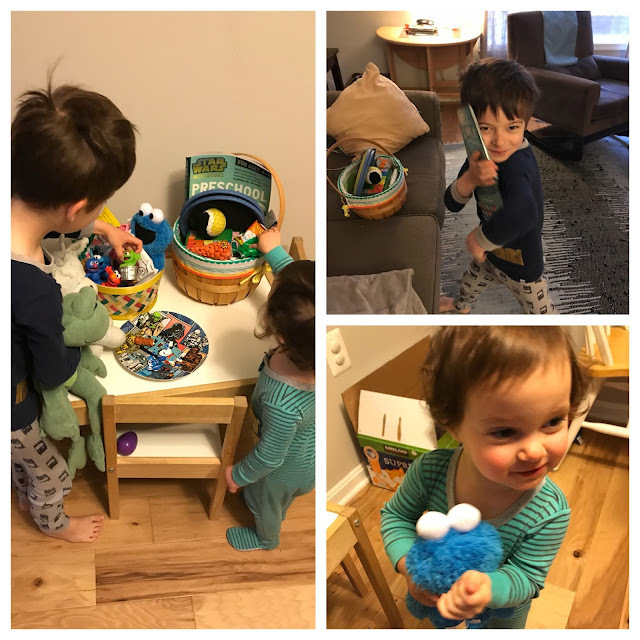 For Easter, we stayed local and enjoyed a massive egg hunt at Lincoln Park where Jo learned real quick how egg hunts work and filled her basket leaving no prisoners. We enjoyed lawn games, an Easter dog (?) 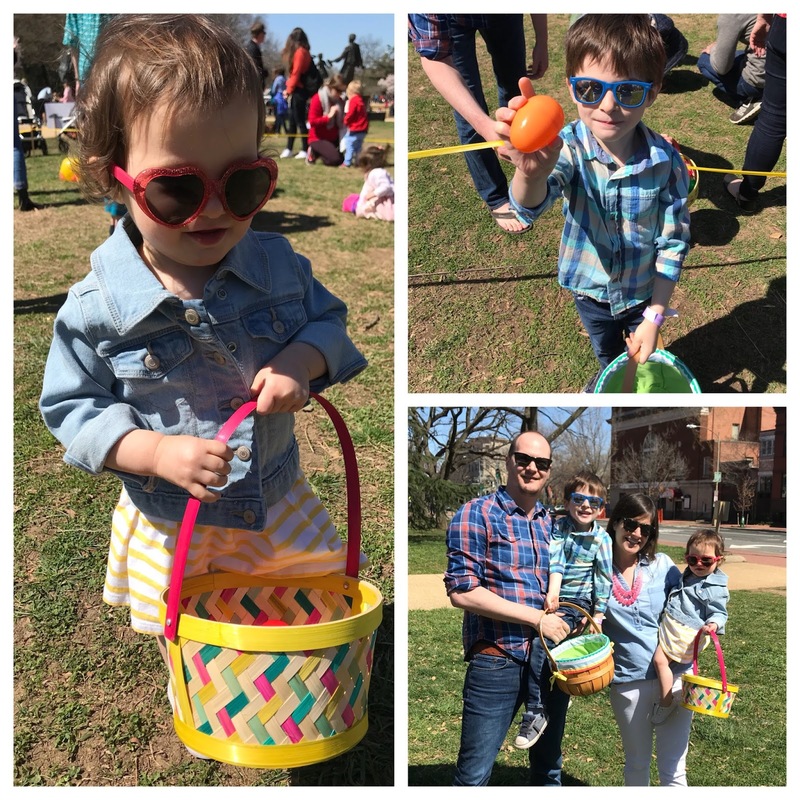 and bunny, farm animals, face painting, and a great time with our neighbors roaming the park. 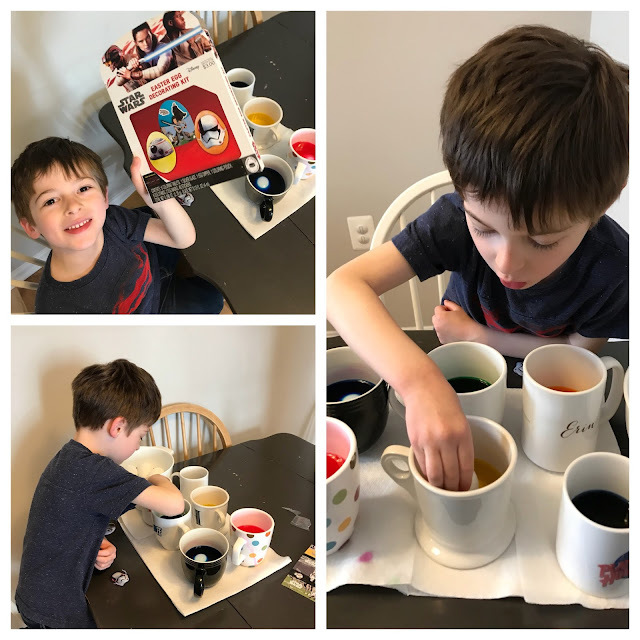 Later that day we dyed Star Wars eggs in anticipation of the rabbit's arrival that night. Said bunny came, and the children were joyous. Later that day we hopped the fence to the local elementary school and played on their fabulous playground with other miscreant families and Cookie Monster. More recently, the cherry blossoms have bloomed! It was really special to see them last year and this year, even more so. There is so much anticipation leading up to the "peak bloom" that events and committees must be in a constant tizzy waiting for it. 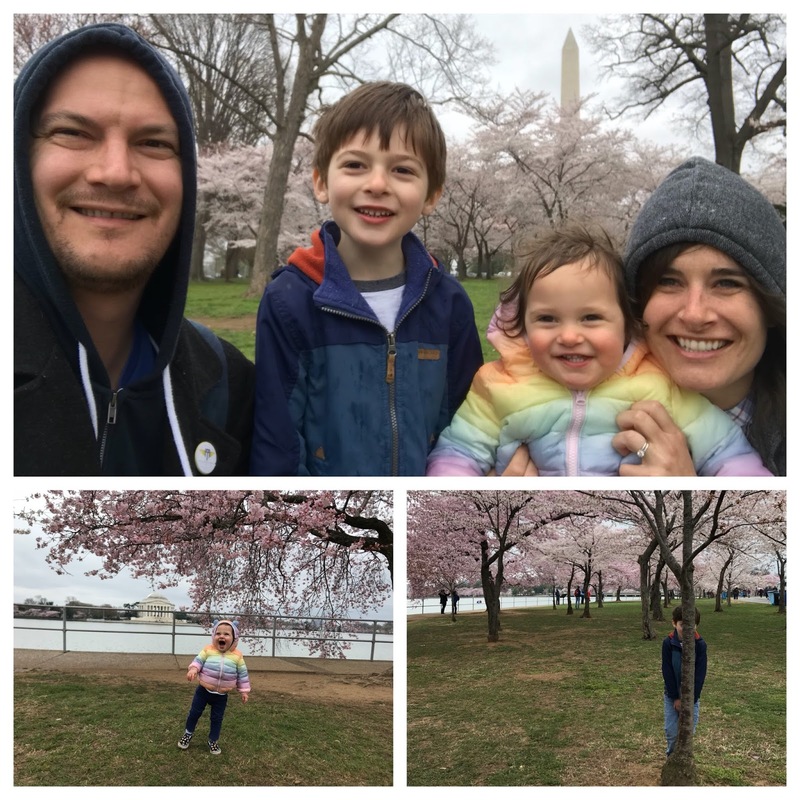 We went earlier this week, and while it was a little rainy and cold, we still enjoyed their beauty. Today, I sat in traffic along the National Mall and took them in, in all their glory, along with 10,000 visitors under blue skies. While things may are overall enjoyable here, most of our days have been taken up by lengthy walks in our neighborhood searching for our dear cat, Oliver, who escaped last Thursday. He's been gone a week and we are missing him dearly. Our hope is that someone sees him after seeing the many posters plastering the neighborhood, the social media pleas, and contacts us or the Humane Society, or of course, he finds his way home. I've been touched by the tips and leads that have come in on Facebook, texts, phone calls, and even FaceTime calls. This neighborhood has rallied to find him and I'm so grateful that there's such a large group of eyes on the lookout for our big boy.